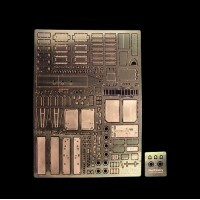 Photoetched set with details for the MikroMir 1/144 kit.This set contains parts for two kits, fully .. Extreme Detailed Model of Japanese Searchlights 92 Shiki. 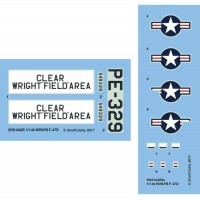 Widely used on Japanese Heavy Vessels afte..
Set contains parts for four 1/144 AIM-9 Sidewinder missiles in B version. Soviet euquivalent of AIM.. 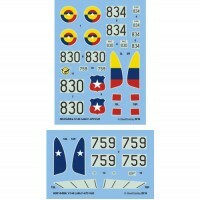 Silk screen decal with markings of two colourful post war Jugs used by South American air forces.- F.. Extreme Detailed Model of Japanese 25mm Triple Single Machine Gun, widely used for all IJN Vessels d.. 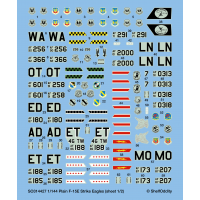 Silk screen decals for no less than four 1/144 models of F-15E Strike Eagle in plainiest gunship gre..
Comprehensive photo etched detail set for GWH/PitRoad Vulcan B.2/K.2 kits. Main features:- air brake.. Welcome to the source of tiny bits for 1/144 and 1/700 scales. We are a group of modelers and the (often) exotic scope of our interests results in the market's inability to meet our expectations. We decided to go ahead with our own ideas as skill and available technology permit. At some point a thought came to our minds "Hey, maybe there are more freaks out there?" 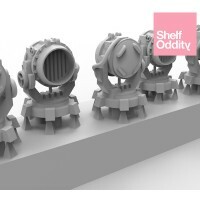 – and here comes Shelf Oddity. Visit our facebook profile for latest updates and product news!